Do you or a young person you know have an idea on how to make Brooklyn better for youth? Brooklyn Community Foundation is committed to supporting the leadership and agency of youth in creating community change. YOUTH VOICE AWARDS (YVA) is a youth-led grantmaking program that sees youth as central players in making decisions around supporting youth-centered and youth-led projects. In partnership with nonprofits and supervising adults, Brooklyn youth can apply for small grants to respond to challenges in their neighborhoods or schools. Youth Voice Awards is about elevating the powerful voices of our youth – youth believe they have the solutions we are looking for and we want to support their work through grants! 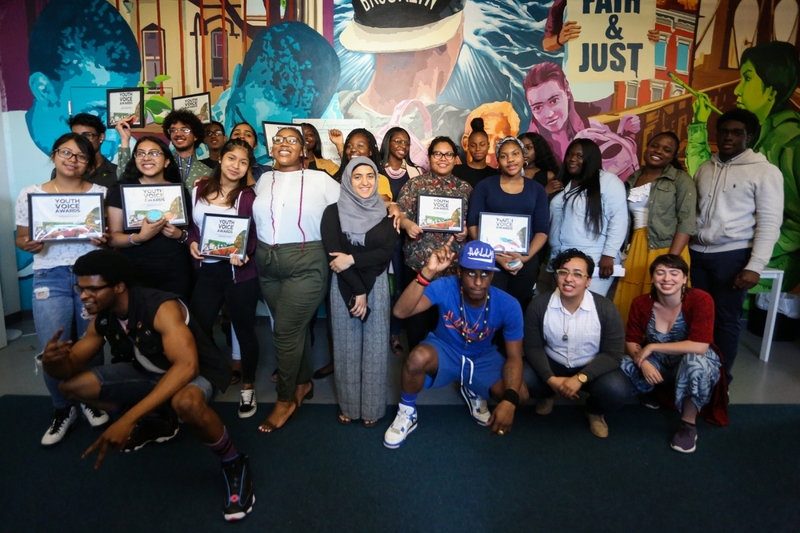 Now in its fourth year, the Brooklyn Youth Activists program consists of a group of 14- to 25-year olds envisioning and working towards radical change in Brooklyn. Activists work together to create an annual youth conference, deepen their commitment to social justice organizing, and support one another in their personal journeys as activists. The Activists are in charge of the Youth Voice Awards and are responsible for giving out $15,000 in awards and supporting young people’s work in Brooklyn. Youth Voice Awards recipients get financial support for projects ranging from $500 − $2,000. The Youth Voice Awards support Brooklyn’s young people working in the following justice pillars. Below are examples to get your creativity going! We believe that these justice pillars intersect and connect with each other, which means your project may fit in one or more of these categories. Promote safe(r) spaces for young people to build, create and MAKE CHANGE! Include “Youth Voice Awards_[Applicant Name]” in the email subject and “[Applicant Name]” in the name of the PDFs. Use Arial font, size 11. Complete application should not be more than 5 pages. The completed application and all the support materials should be emailed as PDFs to YouthAwards@brooklyncommunityfoundation.org.